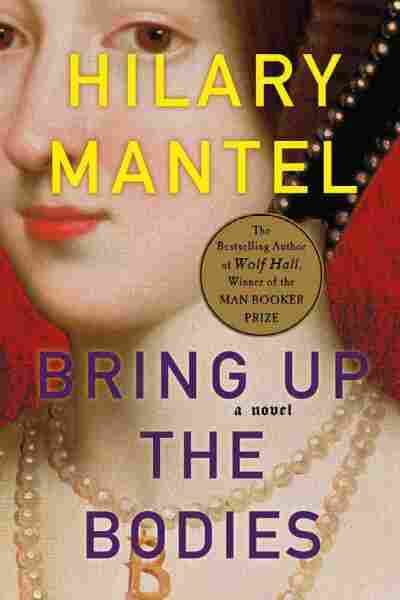 Mantel Takes Up Betrayal, Beheadings In 'Bodies' Hilary Mantel is the first woman to win the Man Booker Prize twice, first for her 2009 novel, Wolf Hall, and now for that book's 2012 sequel, Bring Up the Bodies. The novels are part of a historical fiction trilogy about Tudor England and the events surrounding the reign of King Henry VIII. 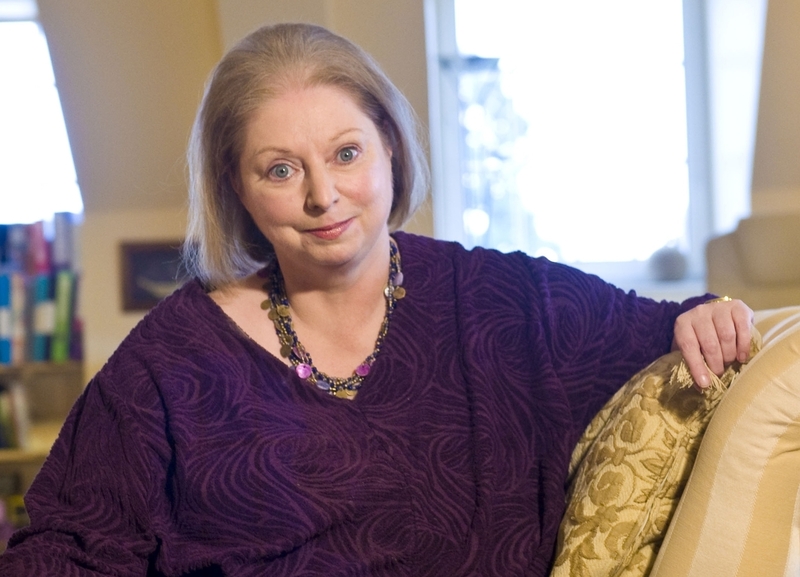 This year, Hilary Mantel made history when she won a Man Booker Prize for her novel Bring Up the Bodies. She had previously been awarded the prize — England's highest literary honor — for her 2009 novel, Wolf Hall, and is now the first woman to receive the award twice. 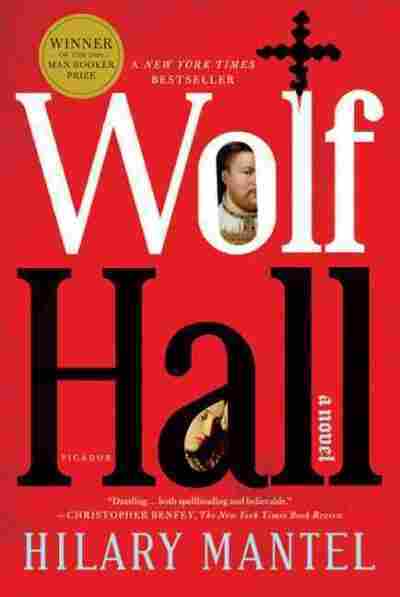 Wolf Hall was the first in Mantel's historical fiction trilogy about Tudor England. It ended with the beheading of Lord Chancellor Thomas More, King Henry VIII's counselor, after he opposed the king's decision to break away from the Roman Catholic Church. Among the king's reasons for breaking away from the church was his desire to divorce his wife, Catherine of Aragon, and marry Anne Boleyn. In Bring Up the Bodies, Mantel traces the downfall and beheading of Boleyn, as seen through the eyes of Thomas Cromwell, an influential minister in King Henry's court. Mantel tells Fresh Air's Terry Gross that she was interested in dramatizing Cromwell because, despite being the king's right-hand man, he is marginal and sometimes even missing in fictional reimaginings of Henry VIII's reign. In reality, Mantel says Cromwell was the "minister of everything": "He is powerful for almost 10 years, so he's the man who knows how everything works. But strangely, because he has been left out of the popular narrative, when you look through Cromwell's eyes, this material which seems so very familiar to us becomes unfamiliar." According to Mantel, one of the attractions of writing a novel about Tudor England is that she didn't have to exaggerate the role of women. Catherine of Aragon and Anne Boleyn were superbly educated, strong-minded women who were actors in the political process. "The title of Queen of England could bring a lot of unofficial power with it," she says. The last volume in the trilogy will end with Cromwell's execution. "Beheading, believe it or not, was a privilege reserved usually for the aristocracy, for gentlemen and gentlewomen. Now, I don't want you to get the idea that these were weekly events in Henry's England; it's because beheadings were rare that they made such a terrible impact on the imagination of the close circle around Henry; his ministers, the aristocracy. Ordinary people who might be convicted of theft or a crime of violence were hanged. I think there were two deaths that were more feared. One was to be hanged, drawn and quartered, which was the penalty for high treason. And the people in the book, when they were given a sentence of beheading — the men who were convicted with Anne Boleyn would have regarded that as a mercy rather than the terribly painful, long, drawn-out death of being hanged, drawn and quartered. The other thing, if a woman was convicted of treason, is she could be burned." Hilary Mantel's Wolf Hall won both the Man Booker Prize and the National Book Critics Circle Award. The sequel, Bring Up the Bodies, won this year's Man Booker Prize. "Thomas Cromwell actually gets Henry's blessing for the English Bible to be placed in every parish church — this is for the first time. There had been English Bibles a few years before, but they were not licensed by the king; their status was unofficial. But Cromwell actually managed to get, eventually, Henry's commitment to the scriptures in English, and the decree was that anyone who could read could come up and read that Bible. So it's a great turning point because it's giving what people thought of as the word of God to the people in their own language. ... You don't have to ask the priest what it means. If you can read, you can read it in your own language, and if you can't read, someone else can read it out to you. It puts the responsibility for your salvation in your hands; your relationship with God changes. You don't have to go through an intermediary, as it were; you've got a direct line." "I make up as little as possible. I spend a great deal of time on research, on finding all the available accounts of a scene or incident, finding out all the background details and the biographies of the people involved there, and I try to run up all the accounts side by side to see where the contradictions are, and to look where things have gone missing. And it's really in the gaps, the erasures, that I think the novelist can best go to work, because inevitably in history, in any period, we know a lot about what happened, but we may be far hazier on why it happened. And there's always the question: Why did it happen the way it did? Where was the turning point? Every scene I go into, I'm looking for these contradictions, antagonisms, turning points, and I'm trying to find out the dramatic structure of history, if you like." "Since I was a very small child, I've had a kind of reverence for the past, and I felt a very intimate connection with it. When I began, it was just being enthralled by the lives of the members of my family who really didn't seem to make any difference in day-to-day talk whether people were alive or dead. I'm one of these children who grew up at the knee of my grandmother and her elder sister, listening to very old people talk about their memories. And as I say, in their conversation, everything was as if it happened yesterday. And the dead were discussed along with the living, and the difference didn't really seem to matter. And I suppose this seeped into my viewpoint. Instead of thinking there was a wall between the living and the dead, I thought there was a very thin veil. It was almost as if they'd just gone into the next room." "Endometriosis is a condition in which the special cells that line the womb — they are the endometrium — they should be in your womb, but in endometriosis these special cells are found in other parts of the body, typically through the pelvis, but they can be anywhere in the body. And the problem there is, they bleed each month, just as the lining of the womb does, then they scar over, and depending on how much space there is around the scar tissue, you can have terrific pain, disability. It's a disease that throws up a variety of symptoms, including nausea. It's not easy to diagnose because depending where the endometrial deposits are, the symptoms can be quite different. It's an unrecognized problem among teenage girls, and it's something that every young woman who has painful menstruation should be aware of ... it's a condition that is curable if it's caught early. If not, if it's allowed to run on, it can cause infertility, and it can really mess up your life. "I suffered from it, I think since I was 11 years old. It wasn't diagnosed; I kept getting sent away and told that it was all in my mind. When I was 27, the whole thing came to a crisis, and I had surgery, big surgery. I lost my fertility. I didn't have any children; I don't know whether I would have been able to have children. Unfortunately, that surgery didn't cure the condition. It came back, and I lived with it for the next 20 years. It's now died back, it's quiescent, but it's done a lot of damage to my body."